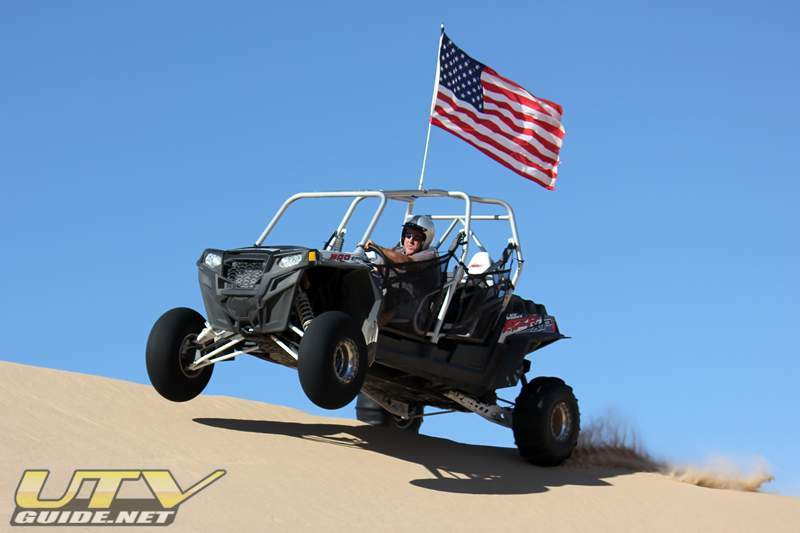 From the Polaris press event, direct to Glamis with the new 2012 Polaris RZR XP 4! I was fortunate to be invited to the Press Introduction for the 2012 Polaris RZR XP 4 in Parker Arizona. Polaris Industries put on a great event as usual and the icing on the cake was I got to take a demo unit home direct from Parker! 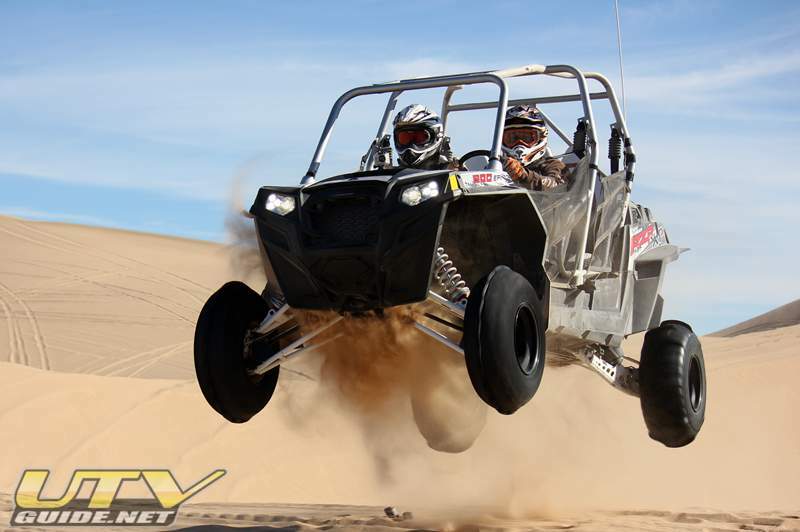 Knowing that a few other editors would also have demo units, my mind began to scheme a plan to hit the dunes in Glamis the day after the ride in Parker. Joining me at the dunes were Joey D. from UTVUnderground.com, Wally from Side x Side Outfitterz and Dirt Sports Magazine, Troy and Don from UTV Off-Road Magazine, Eli from ATV Rider Magazine, Brit from Octane Media and Casey Cordeiro from Sand Sports Magazine. I also invited a few industry folks along that were itching to see what the RZR XP 4 could do first-hand - Dave from Fullerton Sand Sports, Tim from SDR Motorsports, Doug from TMW Off-Road and Mike from RPM. 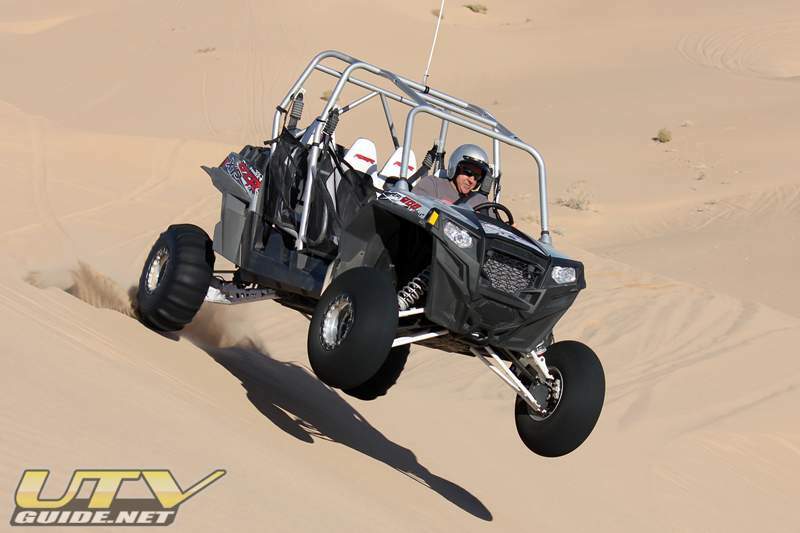 I even twisted one of the marketing managers from Polaris to join us and experience then dunes first-hand. I had brought two sets of paddles with me for Wally and I, and Dave from Fullerton Sand Sports brought more sets out for the other guys to try. Four XP 4s arrived at the Glamis Beach Store just after 8AM and were welcomed by "Mr. Glamis", Tim Gantz (two editors needed more beauty sleep and would join us in a few hours). We quickly mounted whip flags, GoPros and adjusted air pressure. The stars had all aligned for us. The wind blew 50 MPH just two days before our arrival so there were beautiful ripples everywhere in Glamis. And since this was a random Tuesday, the dunes were completely empty. Just perfect. We busted out through the dunes towards Osborne Overlook to take some pictures while the lighting was good and it was game on from there. 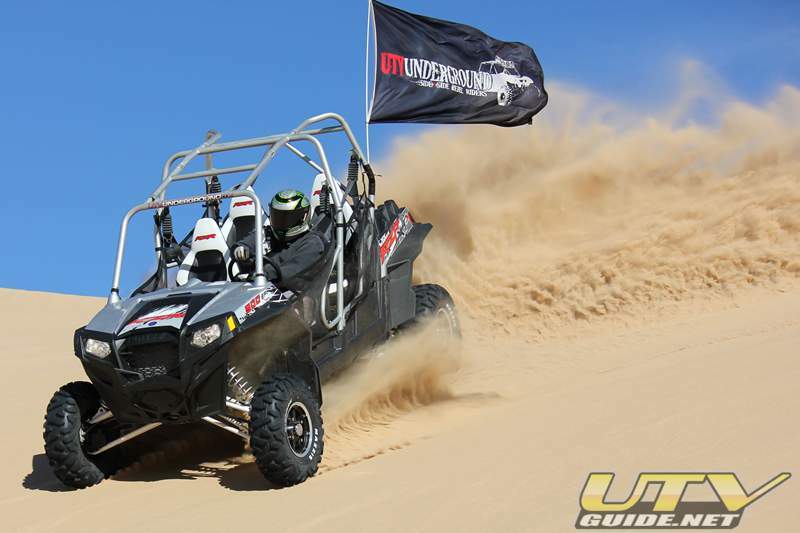 We quickly learned how much fun the RZR XP 4 is in the dunes. Right from the get-go I knew this was going to be an epic day. The dunes were so smooth, we had them all to ourselves, and we had the same brand-new, high-performance four-seaters to shred the dunes. After pictures and some video, we jumped back in and headed to Oldsmobile Hill. 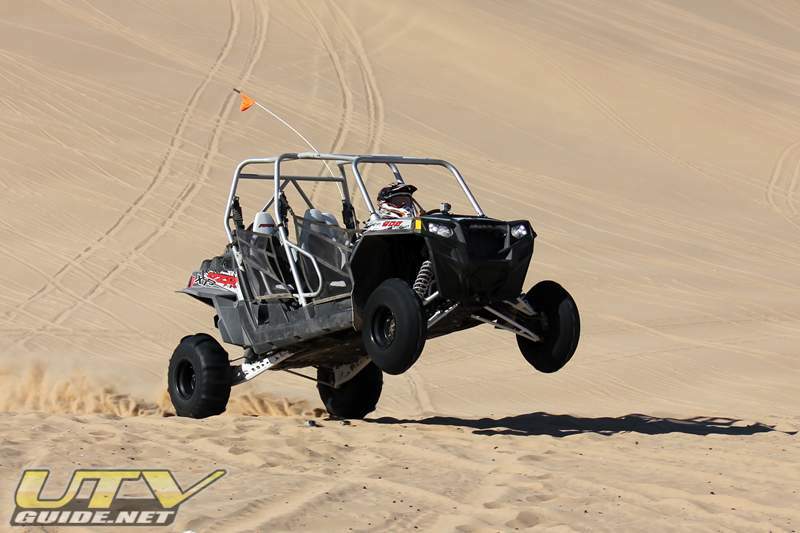 This run is one of my favorites in Glamis. Fast bowls and fun transitions litter the path and we played cat and mouse the entire way. So much fun! The video above will give you a little taste of what our day was like. With the wide field of view on the GoPro, it is hard to tell how close we were, but we all ingested our share of sand and there were no complaints about it! Once we got to Olds, Joey decided that he wanted to show off the RZR XP 4's suspension. He went to the top of the hill, then floored it through the whoops and over the lip at the bottom. Not to be outdone, Wally jump in his XP 4 and did likewise. Super cool to see them flying down the hill at 70 MPH and hearing the paddle tires in the whoops. After more duning, we headed back to Glamis Beach Store since a few of the guys needed to pack up and head home. After a little lunch we headed back out. 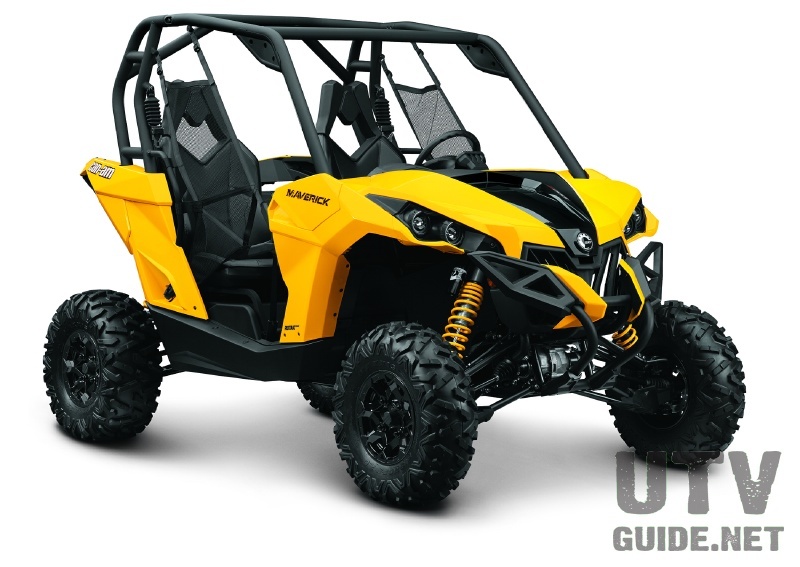 Even though the four-seat XP 4 is much longer than the two-seat XP, it still feels very nimble in the dunes. The car turned well, had good power and the extra length really helped keep the vehicle super stable in some sketchy situations. After a full day of duning with the RZR XP 4, I can honestly say that this was probably the most fun I have ever had in the dunes. 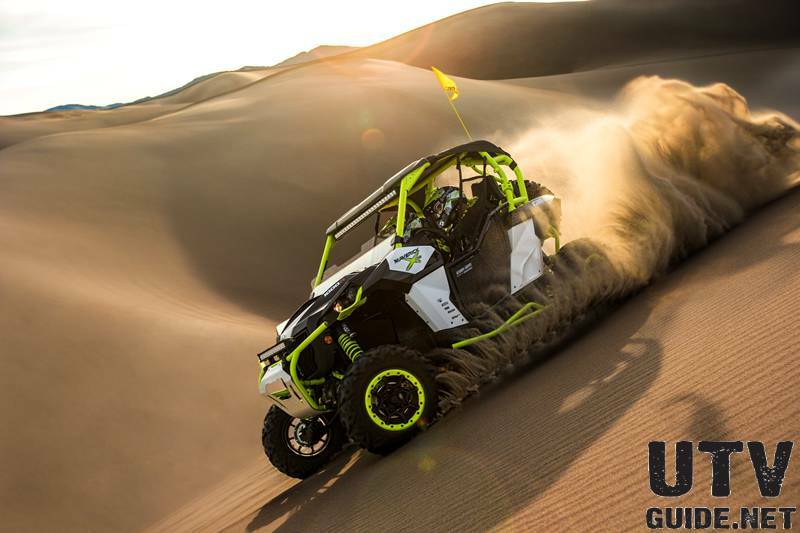 It is so much fun to have a small group of capable drivers, in similarly equipped high-performance vehicles, with great weather and smooth dunes! 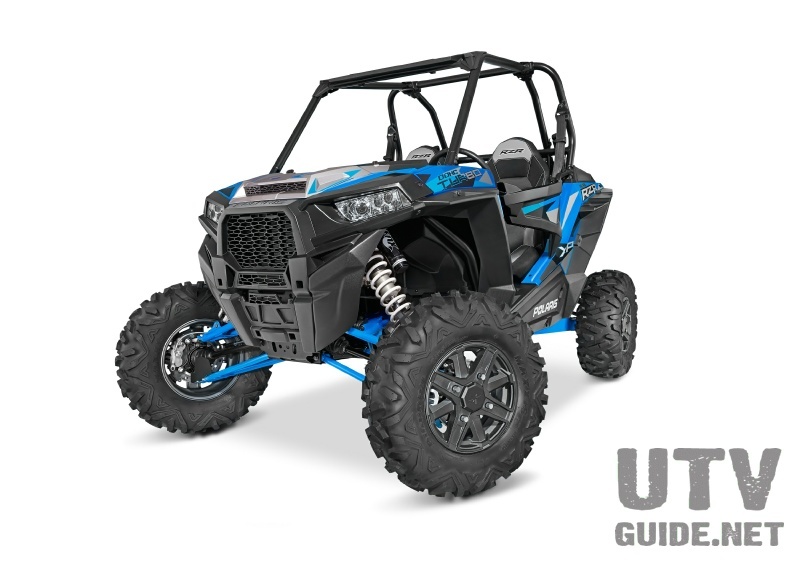 Polaris has hit another home run with the RZR XP 4.